Hi!!! Christmas is officially passed and I hope everyone celebrated with food, family and a cup (or two) of good cheer. This year, instead of our usual tradition of travel or restaurant visit, my parents decided to have a cozy little get together with my aunt’s family and grandpa to exchange presents and share a nice meal. 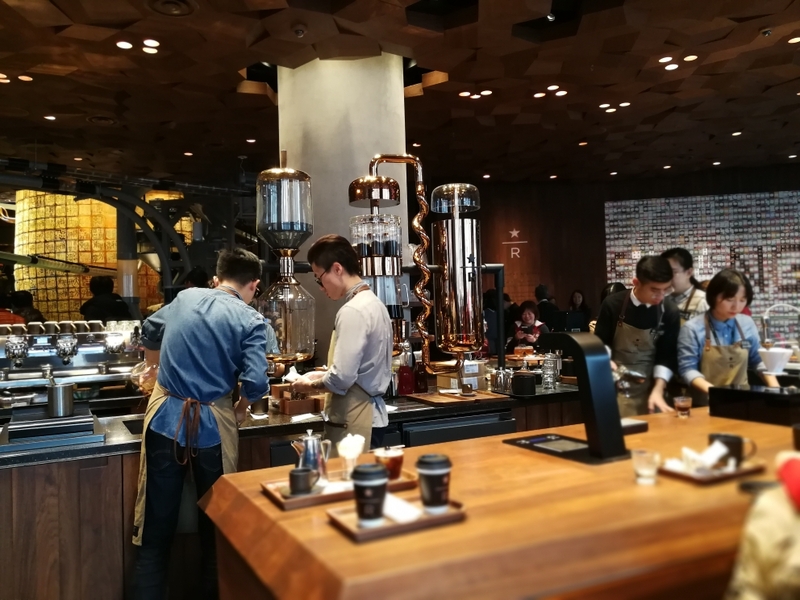 The Starbucks Reserve Roastery is 2700 square meter (30,000square foot) Starbucks dreamland located on West Nanjing road. 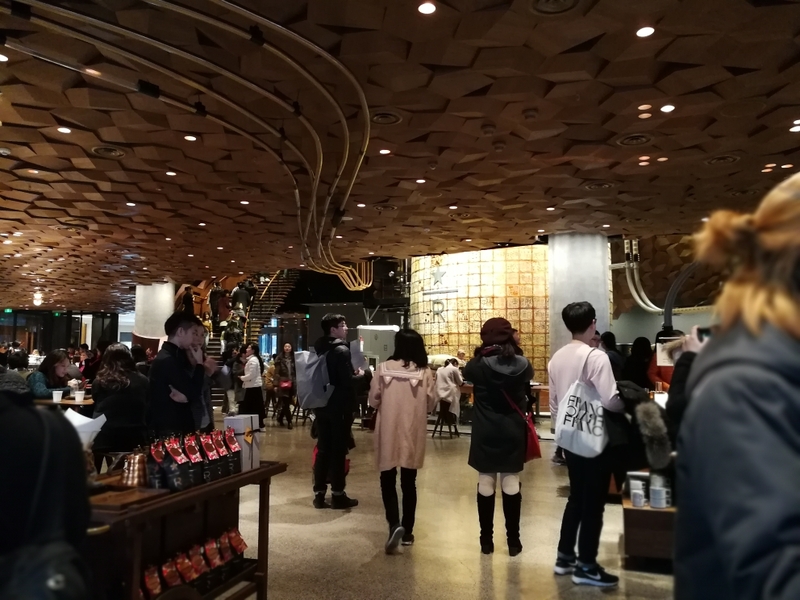 Since it opened in early December, Its become quite a tourist attraction. The line seemed a bit intimidating and I was about to give up. Luckily, my mom convinced me otherwise. As it turned out, we ended up waiting for less than 20 minutes. 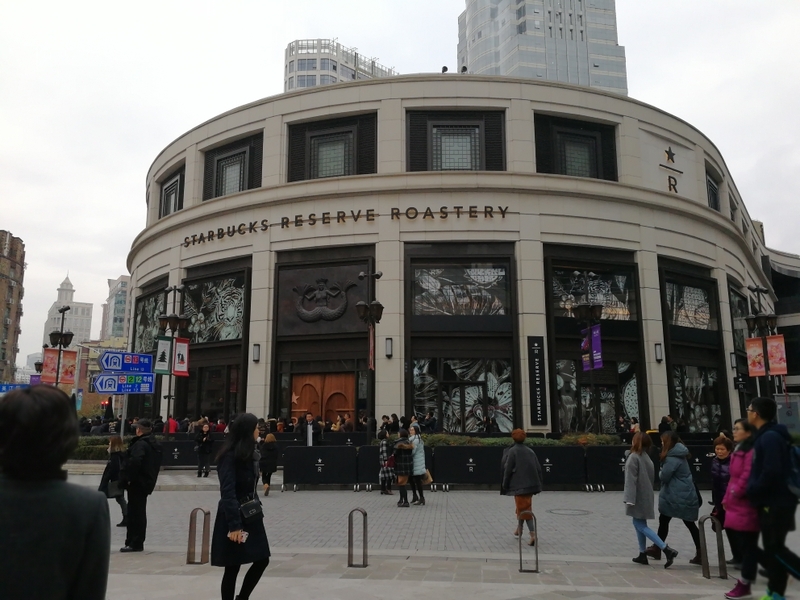 On the outside, it looks like a normal, albeit massive, Starbucks. The inside is a different story. 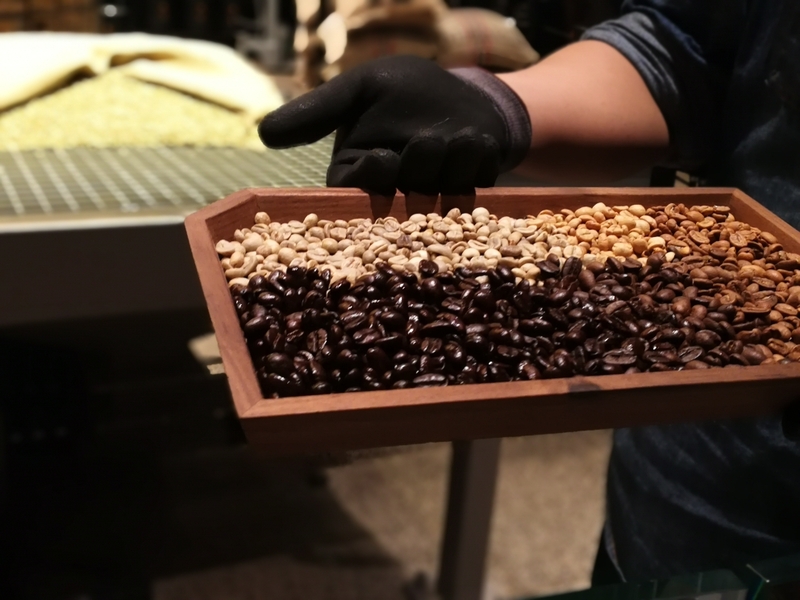 As the name suggests, the Reserve Roastery is a functioning coffee roastery. 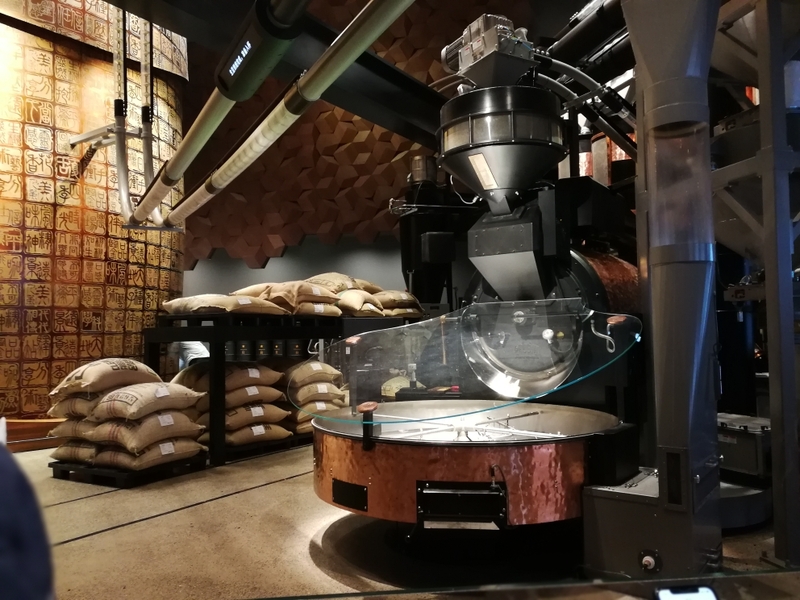 I’d seen small roasters in Yunan, but comparing those to this one would be like comparing a Hot Wheels model to a monster truck. 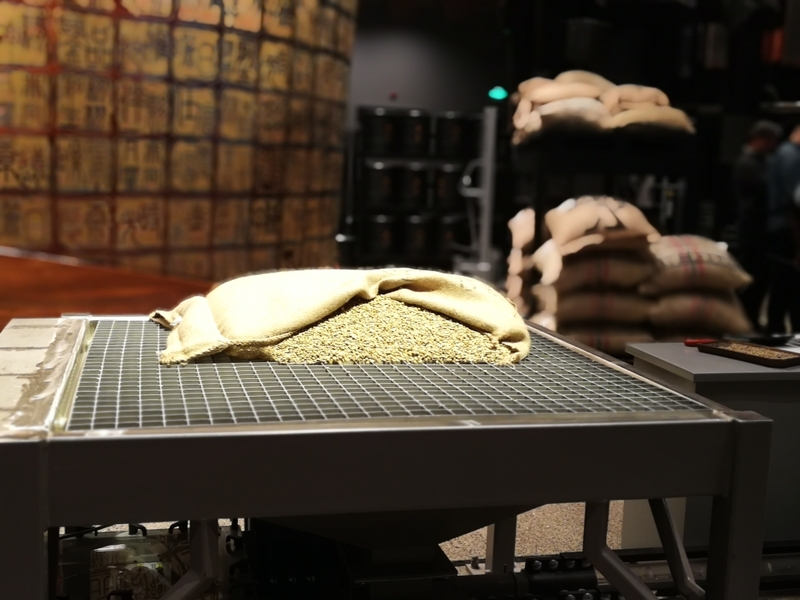 This roaster is 2 stories with tubes that spider across the entire complex. Unfortunately, it was already 3 so caffeine was off the table. That’s where the second floor came in: Tea! 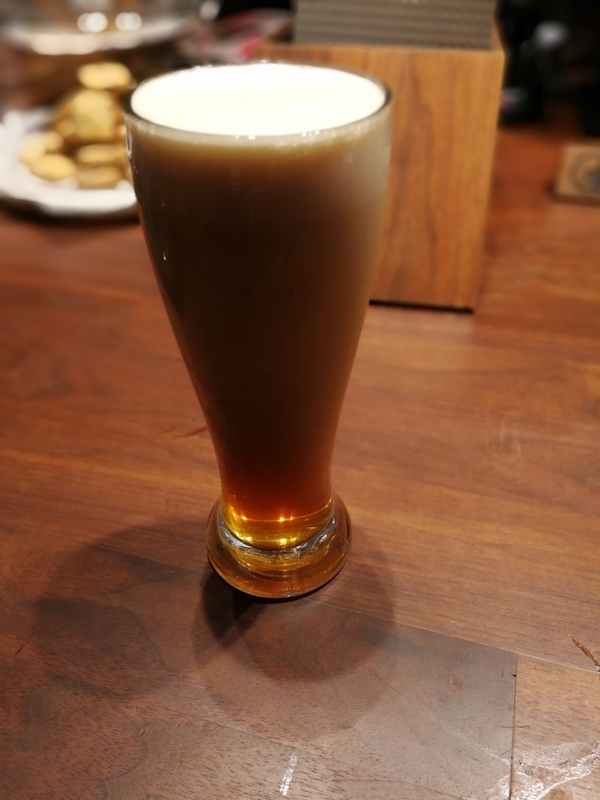 Not beer-> Nitro tea. Apparently, even plain black tea can be creamy with a bit of science. Overall, I had an AMAZING time. 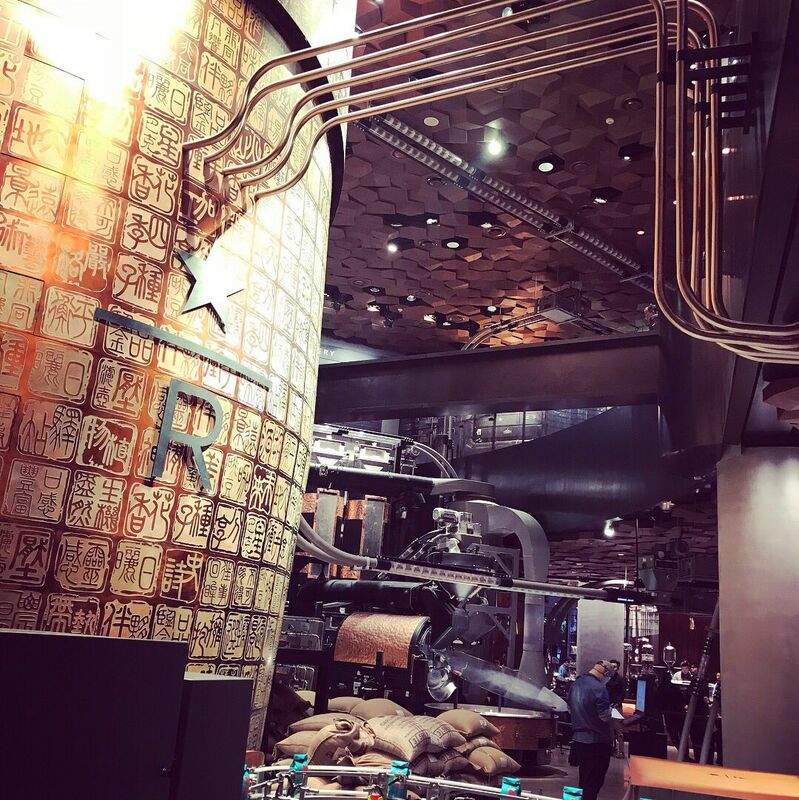 It’s definitely the coolest Starbucks ever. Honestly, the only downside was that it was pretty loud and crowded, but we went on a Friday afternoon. I highly recommend checking it out, if only as a tourist attraction. That’s it for this week, but before I go………… WELCOME to 2018!!!!!!!!!!!!!!!!!!!!! 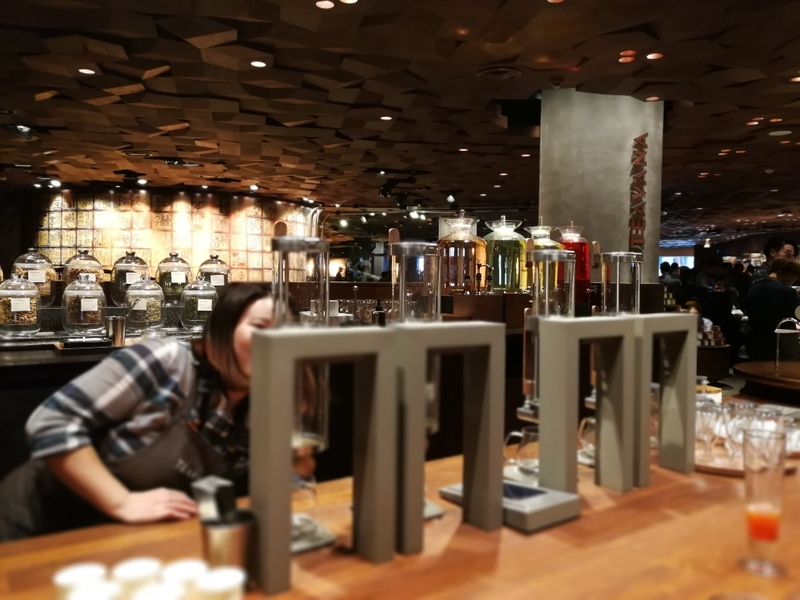 Very good experience, and great business for Starbucks!